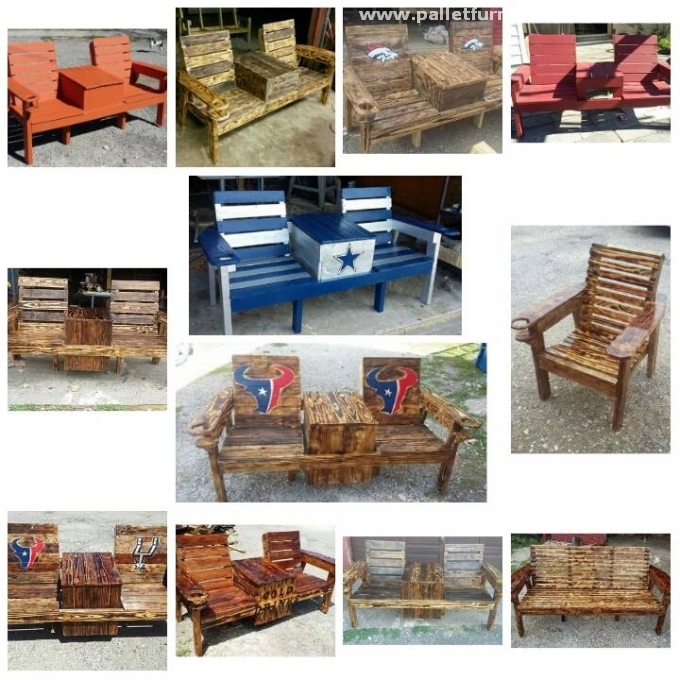 We started this journey of pallet wood recycling a few years back, in the beginning we neglected like hell, people didn’t seem to be interested in the recycling of pallet wood. But as the time kept passing we realized that people have really started considering it. In the beginning the response was so damn slow but fortunately persistent. 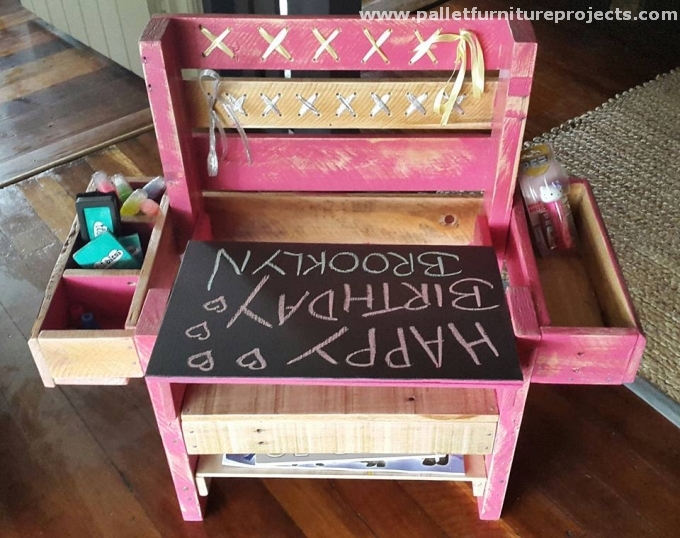 And this is a high time for all the pallet wood crafters, pallet wood creations have literally captured the spaces that were earlier covered with market based wooden furniture items. 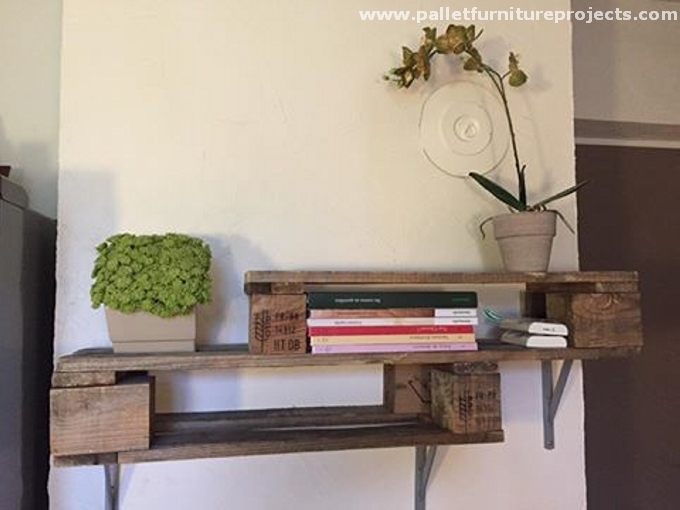 Let’s have a look on some more ideas for recycled pallet furniture. 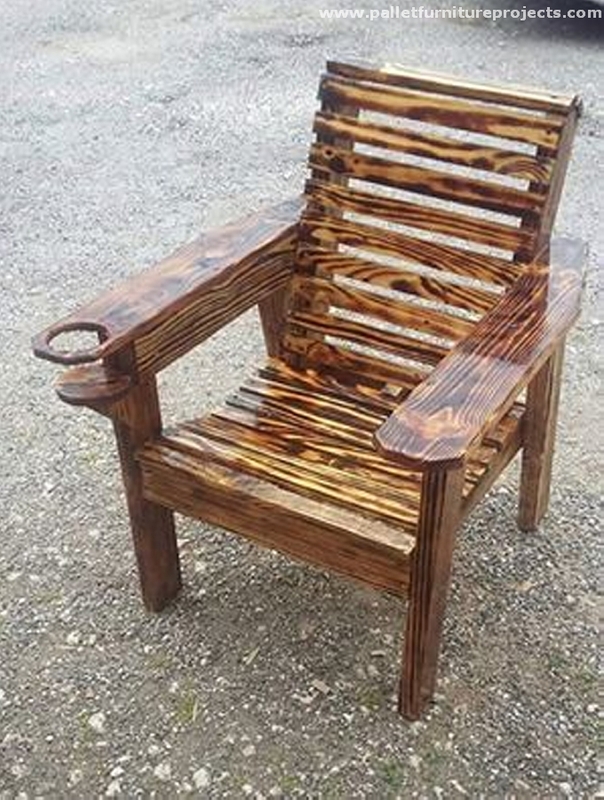 This is a large pallet wood recycled easy chair. It has got many useful features like huge and wide armrests, sloppy seating space, a wide comfortable back and a specified hole where a glass can be fixed. 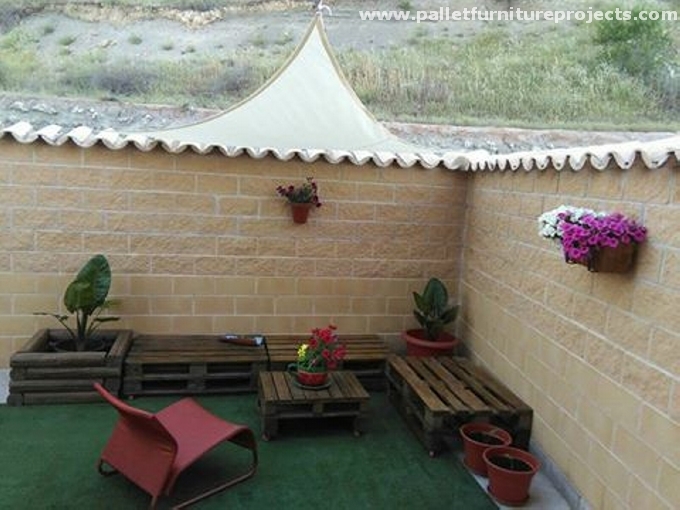 Its texture and paint seems to be pretty perfect for the outdoor use. 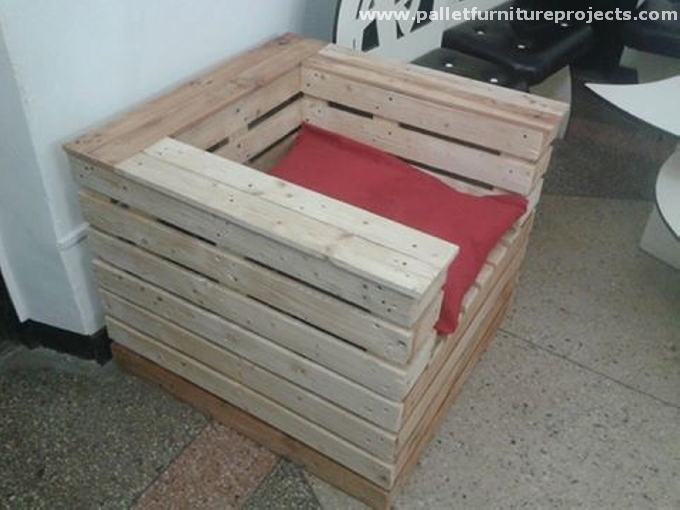 How about recycling this gigantic pallet wood couch for your lounge? This would be your companion while the longer sessions for instance while watching a movie, or having a chatter with your wife, or talking on phone. This would also look pretty superb in your lounge. Here in this specific project, we are going to put in use the wooden cable reels. Some of them would be large, some might be small. 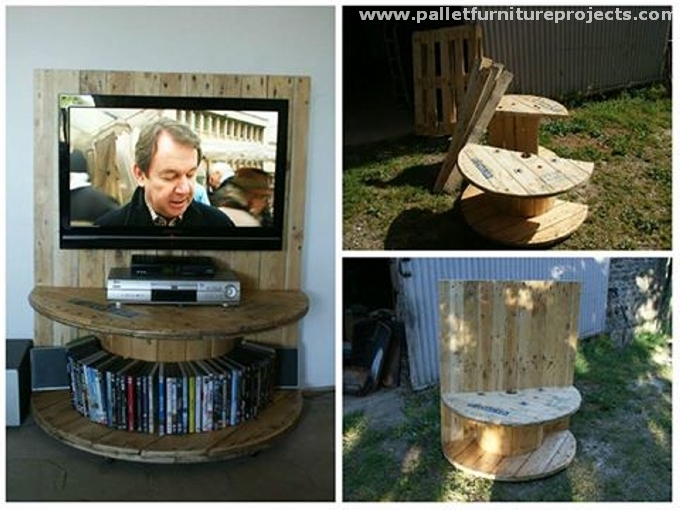 Just think about some creative ideas that how you can use make the best use out of these circular cable reels, like make a TV stand, or an outdoor table with them. What about these stylish wooden beauties? 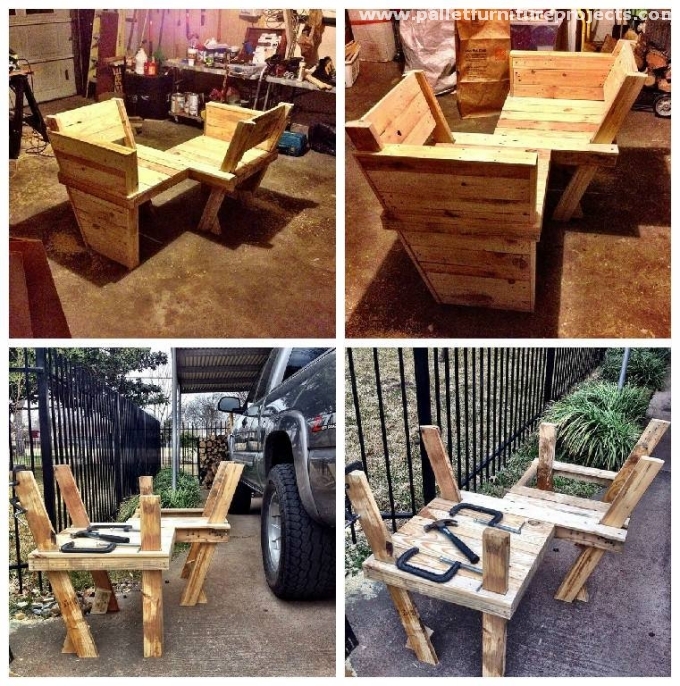 Don’t they look like some epic pallet wood creations? 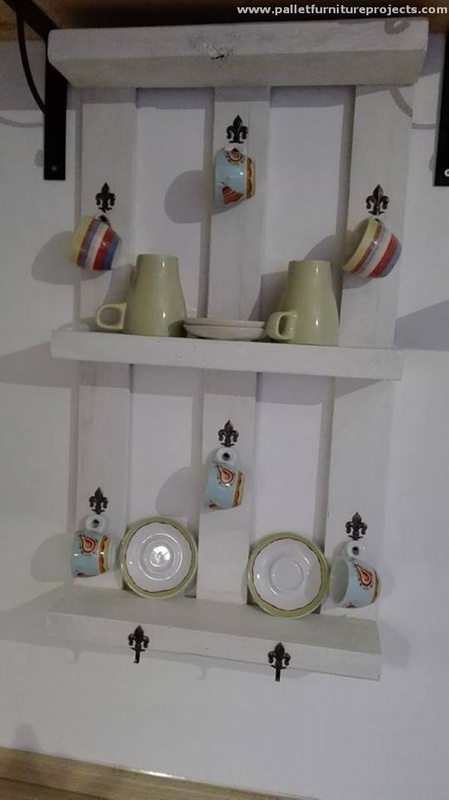 Entire structure is made using the same shipping pallets, this is all about the exploitation of a certain shape that has made them look so special. I want all the artists to pay attention to this specific wooden pallet project. 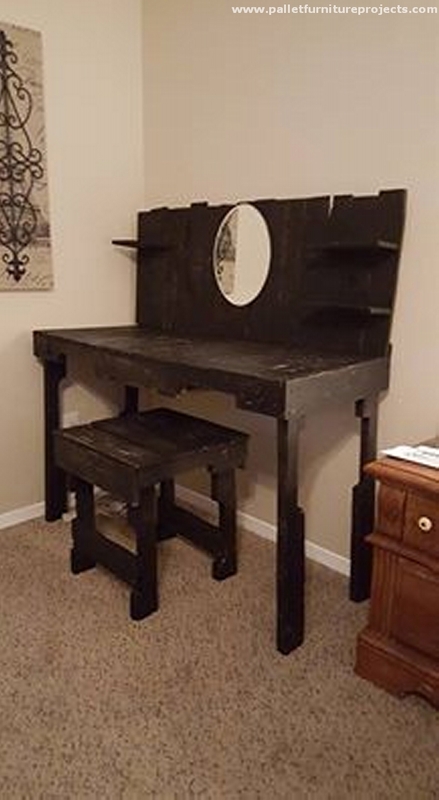 This is basically an art chair that is loaded with all the stuff that would be used while working on multiple art projects. It has got various sections and portions along with little drawers and a lot of additional storage space. If we talk in general terms about the wood pallet recycling this art is simply a blessing in many perspectives. This saves us money, it discourages the cutting of trees. It gives us the complete control of the project so that we can mold and shape it according to our priorities and desires. Just have a critical look on this vintage wooden pallet repurposed table. Though it has got an old fashioned design and shape, still we managed to make it look presentable with the help of dark stain. For the artists it is never an old fashioned one. 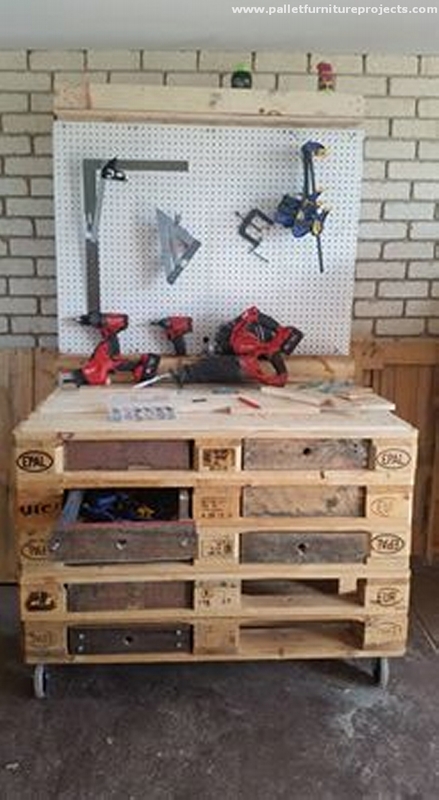 Pallets have taken care of our each and every need, when it comes to the ones who work in their domestic workshops, pallet wood is again there as a savior to arrange their tools to provide them assistance in the shape of this wooden pallet tools cabinet.